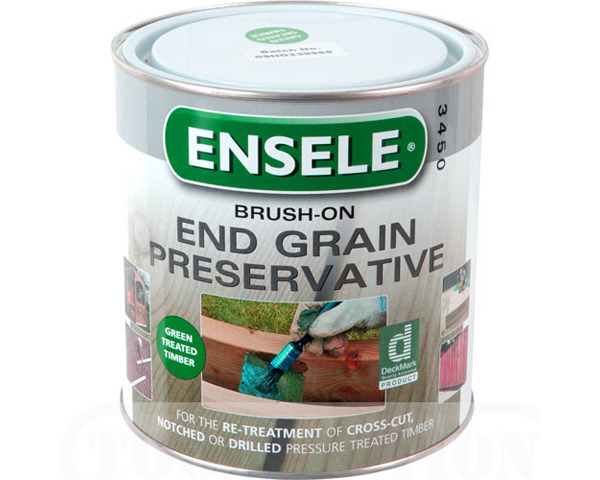 Ensele is a timber sealant used specifically to treat cut ends of pressure treated timber. Water based preservative based on copper/triazole technology. Whenever tanalised timber is cut on site, the exposed surfaces must be retreated with Ensele End Grain preservative to maintain the integrity of the treated timber. Sizes - Available in 1kg and 5kg tins.